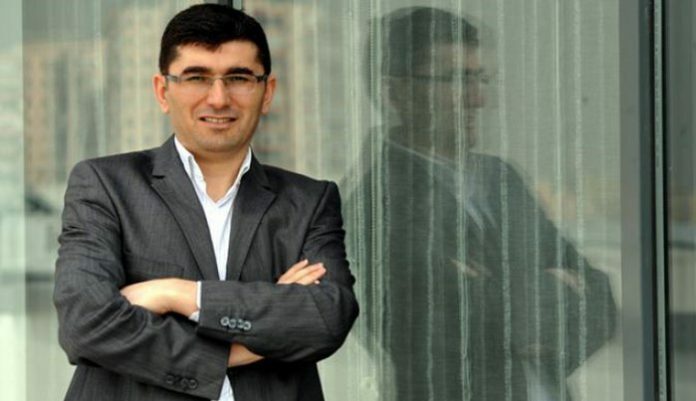 Turkish journalist Bayram Kaya, who was sentenced to six years, three months on charges of membership in a terrorist organization, says “hope” and “longing” are the sources of life in prison. Twenty-five Turkish journalists including Kaya were sentenced to terms ranging from two to seven years on March 8. “You want to scream… You scream as much as you can… Your scream reaches the sky… But no one hears you,” said Kaya, who is in Istanbul’s Silivri Prison for two years, in a letter published on the tr724 news website on Wednesday. In his emotional letter Kaya also wrote about his adventure with a daisy that grew in the courtyard of his prison block. Reporters Without Borders (RSF), the Committee to Protect Journalists (CPJ) and the Organization for Security and Cooperation in Europe (OSCE) on March 9 condemned the sentences that 25 Turkish journalists including Kaya received the day before in a political mass trial in Istanbul targeting opposition journalists. “Concerned by today’s decision of 25th Criminal Court in Istanbul to imprison several journalists incl. @murataksoy & @AtillaTasNet. The severe charges were never proven during the investigation. I urge #Turkey to free the journalists & drop unfounded charges against them,” OSCE Representative on Freedom of the Media Harlem Désir tweeted. “The sentencing in Istanbul today of at least 22 journalists on anti-state charges is a disgrace to Turkey’s justice system, and we call on authorities to drop the charges on appeal,” CPJ Europe and Central Asia Program Coordinator Nina Ognianova said from New York. Following a July 15, 2016 coup attempt, the Turkish government designated the Gülen movement as a terrorist organization in a development that many say was politically motivated. Working at a Gülen-linked media organization, depositing money in the Gülen-linked Bank Asya or even downloading the ByLock mobile phone application, which is the top communication tool among the Gülen followers according to Turkish authorities, are all seen as signs of membership in a terrorist organization. Zaman, which was Turkey’s best-selling newspaper, was taken over by the government in March 2016 and then closed down in the aftermath of the failed coup. Zaman had angered the government with its critical stance and extensive coverage of a corruption scandal that erupted in late 2013. This article originally appeared in Turkish Minute on Aug 9.